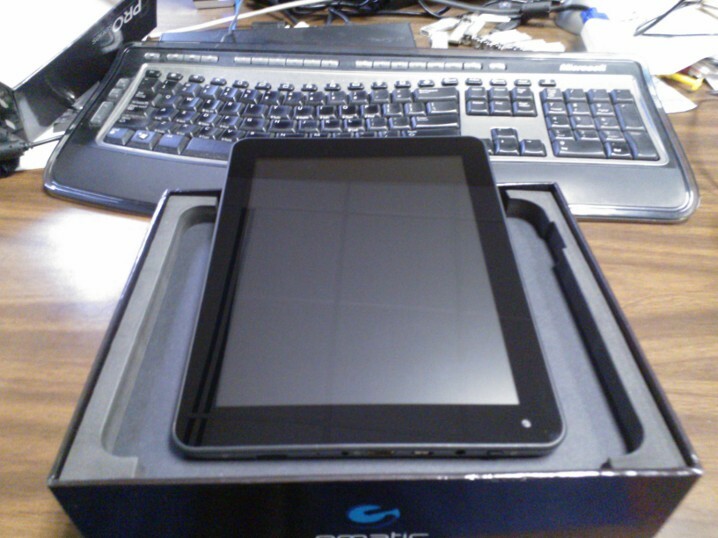 Ematic entered the market with low-cost android tablet designs. Their original 7 inch tablet was very low performance and was not well received. Currently they have a higher performance 7 inch tablet that sells for $89 and comes in a variety of colors. The release of an 8 inch tablet intrigued me. I have found 7 inch tablets to be a little small for my use case. I have experimented with several low-cost tablets in the past and have always been disappointed with; battery life, display, performance or lack of Play store access. It would be easy to pick apart an 8 inch tablet that sells for $129, but I set out to find how usable this tablet would actually be. 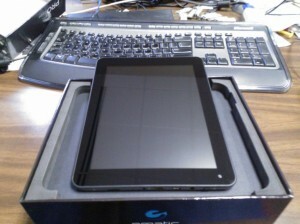 Specification: http://www.ematic.us/tablets/egp008 In order to keep the cost down each area of the tablet is minimal. The display resolution is 1024×768, Dual core processor 1.6 GHz with a quad core GPU, only one gig of memory, only 8 Gb internal storage but it is expandable with a microSD card up to 32GB. For this test I installed a SanDisk 32GB card. It does run android 4.1. It has a USB port, audio jack, micro SD slot and a mini HDMI port. Connectivity is provided through Wi-Fi and Bluetooth. Additionally it comes with five gig of cloud storage from Pogoplug. Design: This unit comes packaged very well in an attractive box with good packaging. The unit itself appears to have a metal back and has a very comfortable feel. This design uses a 4 x 3 aspect ratio as opposed to 16 x 9 aspect ratio used on many other small tablets. I am finding for reading books, magazines, PDF files and comics a 4 x 3 aspect ratio can be an advantage over a 16 x 9. 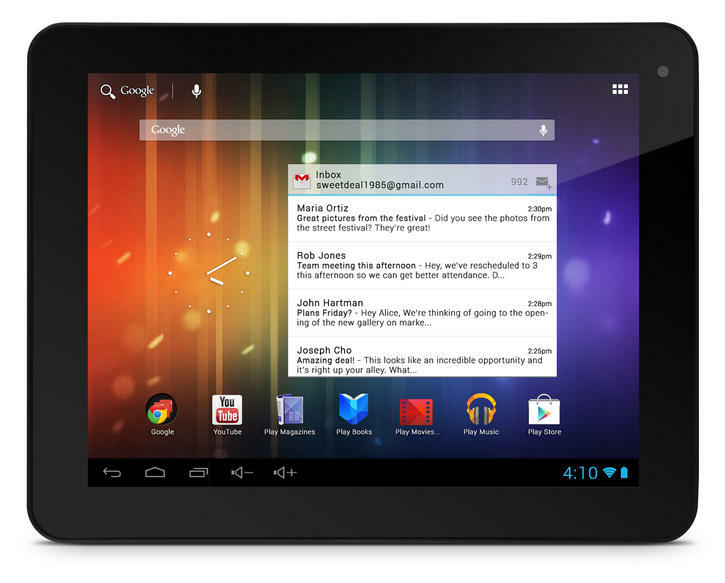 Another thing I noticed on power up this version of Android has full Google Play support, many cheap tablets do not. No Play store is a deal breaker for me. Usage: The tablet connected very easily to my home network, I started loading apps. I had no issues loading or running any application on the device. Although at one point I got an error that I had no more room to load apps on the tablet. Storage manager showed room on the tablet available, I moved some applications to the SD card and everything worked fine. Display: In testing the display I found the colors to be sharp and clear. I also found that different applications seem to show fonts differently than other applications. Reading a book in the Nook app was very clear and easy to read. Meanwhile reading magazines in the Zinio app, text was grainy from time to time and difficult to read. Battery: After using the tablet for several days I noticed the battery life was very consistent with other higher-priced tablets I own. Standby was very good. I could leave the tablet sitting for days and it would still have a charge. Cameras: Another area where costs were cut was on the cameras. The unit does have front and back cameras, but they’re poor performing. They have issues with low light. I did participate in a Google Hangout with the tablet, but it was not great. If I were designing this tablet I would have put no cameras on it and just made it a consumption device, but people expect to get a camera on a tablet. Connectivity: The wireless network connected to every access point I tried it on. When downloading apps or files it did seem like the transfer rate was a little slower than I would’ve expected. The USB connection on the tablet works exactly as I expected it to. 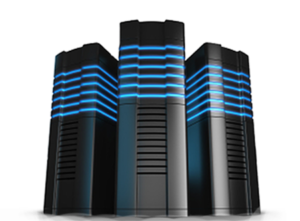 Connect to a PC, it shows up as a storage device and allowed me to copy data directly to it. The mini HDMI port worked extremely well and allowed me to display video content at 1080p. I was able to stream Netflix and display it on the TV. 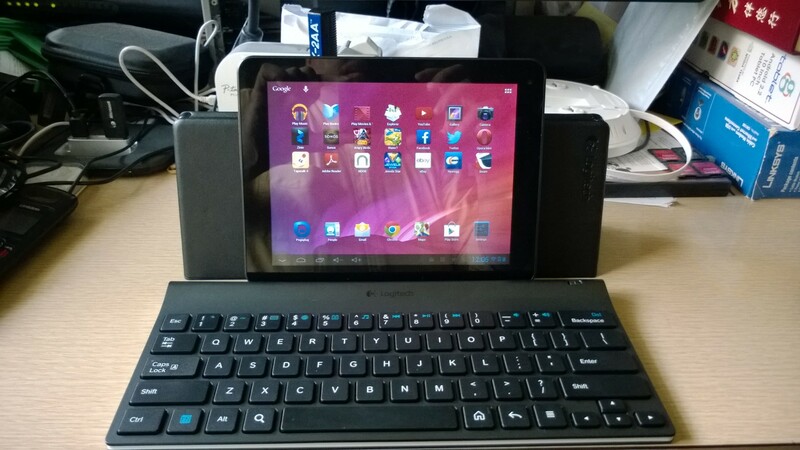 To test the Bluetooth, I paired the device with a Logitech keyboard and everything worked perfectly. Sound: The speaker volume is very low and not very clear. Headphones work fine. Initially the auto rotate function did not work on the tablet. After briefly looking I was unable to find the location to change the setting and I reached out to tech support at Ematics. Within 24 hours they responded via e-mail with the correct answer. I have to say I was impressed considering this is $129 tablet. Sometimes the tablet feels sluggish, specifically when it’s first coming up or when applications are first loading. Don’t try to do too many things at once. The volume controls are on screen display, but they only seem to appear in landscape mode. The device is light enough to hold with one hand to use as a reader, but also the screen size is large enough to use as display for multimedia. I still have an open question on Ematic’s policy on updates. Will they update the software on this or not? Will I keep this tablet to use? Not for my main consumption device, but I could see it as the tablet we take in the car. I seem to be turning into a tablet snob. If you are nitpicky about your devices and if small issues bother you, you will not be happy with this tablet. If on the other hand you’re a glass half-full type of person and you intend to use this tablet for e-mail, web browsing and some light gaming, I think this tablet fits the bill. Its performance is acceptable; I loaded some games on it and gave it the ultimate test, my eight-year-old daughter. She had no issues with the tablet, performance was fine. She’s very familiar with android, so everything worked as she had expected. As I said earlier I have found that inexpensive tablets tend to have very bad displays, very bad battery life and very bad application support. This tablet does well in each of these areas. At $129 I do think this is a tablet you could buy, try it and determine if it’s the right tablet for you and if not hand down to another family member. The EGP008GR was an eye-opener for me. I kept wondering, how can they make this so nice and sell it for $129? As I’ve said several times cheap tablets tend to be junk this one is a good product that I think would be very usable for many average tech guys and gals. My testing was not exhaustive. I am sure there were several things that I missed. Your mileage may vary! I HAVE EGP008, BUT MY IS NOT BOOTING NOW, EVERY TIME AFTER I TRAY TO BOOT I STOCK ON EMATIC LOGO.